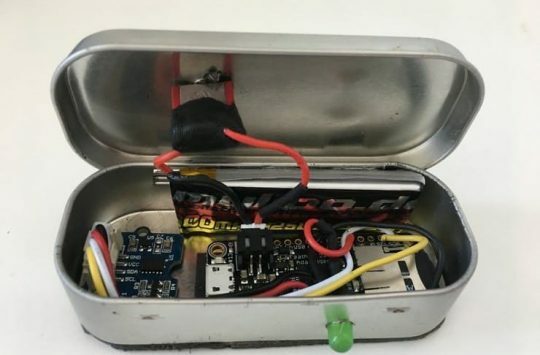 We don’t always feature Kickstarter projects, but when we do, it’s because they’re interesting. Shredmate is unlike other bike computers because it’s designed specifically around measuring jumps and g-forces as you ride, showing you where you’re getting air and how well you’re landing. 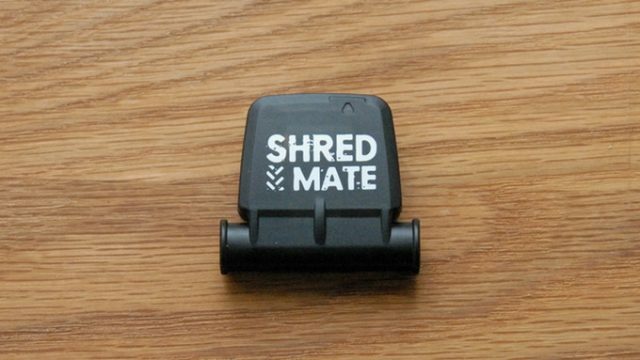 This is the Shredmate sensor mounted on a fork. It works with the app as you ride. They’ve spent the last year working on it, with a team of riders testing it out in a variety of locations, and a part of the reason for making it was to provide some mountain bike specific features that other computers lack. 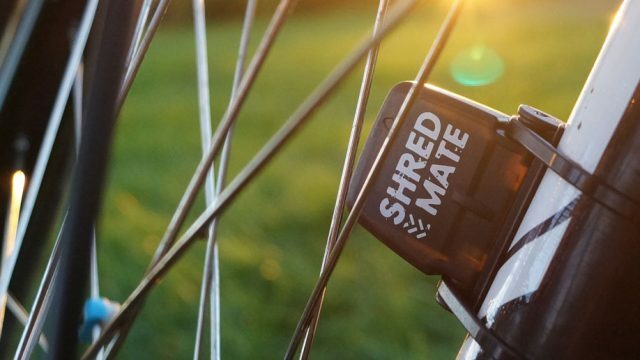 The Shredmate works with a sensor mounted on your fork, along with a smartphone app to display the data later. While it’ll display all the usual distance/time/speed etc. of a normal bike computer, the idea behind the sensor and the g-force data is that you can also train to have better jump technique and work toward making better, gentler landings. Here are a couple of views of the app, which detects jumps and shows your highest G moments from a ride. 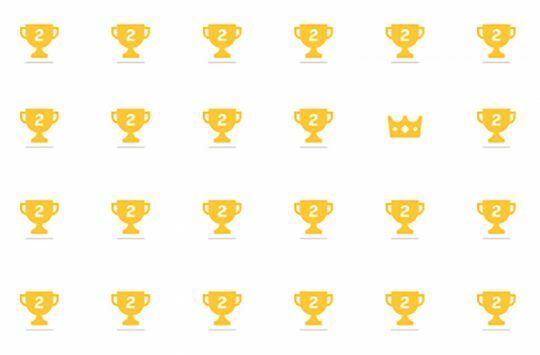 They’re based in the UK, and pricing from their Kickstarter campaign will start at around £50, which if everything is on schedule should be live about now. You can check that over at the Shredmate website. It’s a noun, not an imperative. Do not shred any mates. TRACKS AND MEASURES YOUR JUMPS- ShredMate locates, tracks and measures your jump air time – and landing g force. By training to reduce your landing g force, ShredMate makes you a smoother rider. TRACKS G FORCE- ShredMate detects peak g forces – tight corners, g-outs (and even the odd crash!). ShredMate displays these g forces on the map. DETECTS ROUGH TRAILS- ShredMate automatically detects when you’re riding a rough trail. 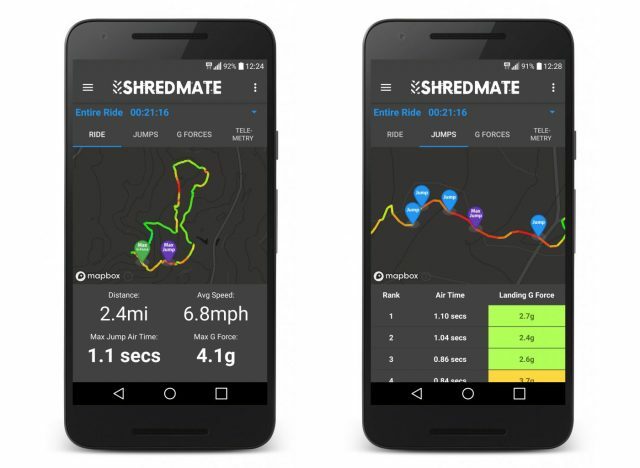 ShredMate lets you view each trail separately, so that you can easily view detailed telemetry for the sections of your ride that matters the most. 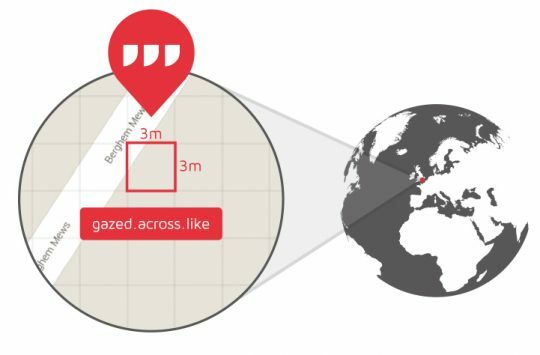 EASILY SEE HOW FAST YOU RIDE, JUST LOOK AT THE MAP- ShredMate shows your route as a trace that changes colour depending on how fast you go. Red for Fast, Green for Slow.